Brasilia International School Athletics: Nations Cup Schedule for 12 and Under soccer. 03/14 and 03/15, Saturday and Sunday, Upper Elementary Soccer Team (11 and 12 year olds). Nations Cup Soccer Tournament. 03/28 and 03/29, Saturday and Sunday, Lower Elementary Soccer Team (9 and 10 year olds). Nations Cup Soccer Tournament. Nations Cup Soccer Tournament - March 14th and 15th. Who: Upper Elementary soccer player (11 and 12 year olds). Where: School of Nations (Lago Sul). When: Saturday and Sunday, March 14th and 15th. Saturday, 2:00pm arrive at EDN to receive uniform and warm up. Saturday, 3:00pm to 3:30pm, BIS vs Ajax. Saturday, 4:30pm to 5:00pm, BIS vs Cougars. Sunday, 9:00am to 9:30am, BIS vs Cardim. If we qualify, we could play one more game on Sunday at 3:30pm or 4:00pm. This possibility will depend on the results of our previous games. 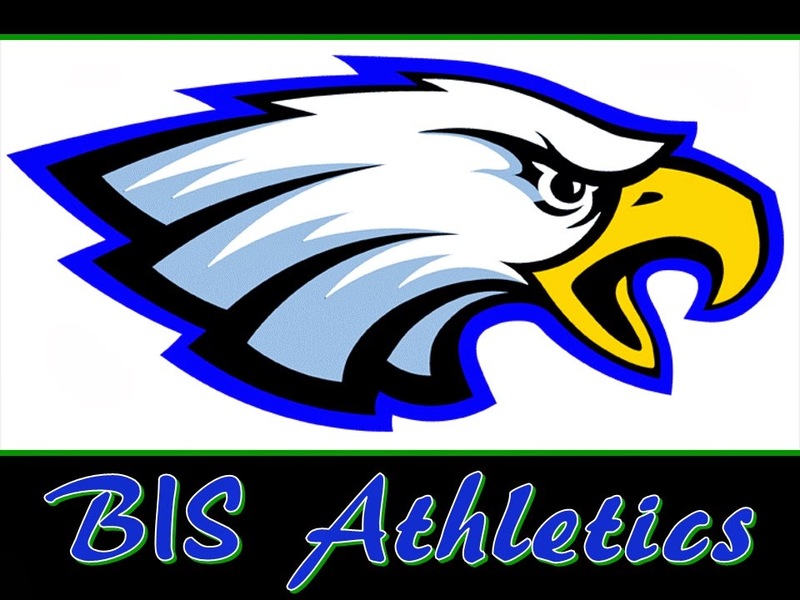 Please check our website (www.biseagles.com) periodically for the latest updates regarding the times of games and the weather (in case of rain and/or lightning). These games are only 20 minutes each. They will go by very fast, so it is important that all players arrive at EDN at least 30 minutes before each game. Players must bring a picture ID that indicates their date of birth. Players must wear shin guards (not provided by BIS) in order to play. Shin guards are sold at most sports stores in Brasilia. You will receive two copies of this note. Please returned the signed copy to the school office and keep the other copy for your records. Soccer News. Nations Cup schedule for 12U.